We welcomed a new community partner to our Project KidSafe campaign this year. SHIFT Community Bicycle Collective is well known in Somerville for its streetside bike education and repair workshops. The organization is a resource for the city’s cyclists, including the youngest riders. Breakstone, White & Gluck made a donation of bicycle helmets to SHIFT and the organization gave them away a few at a time over the year, as volunteers came across children who needed one. Here are some photos of children who received helmets at Family Bike Day on Sept. 16, outside the Somerville Public Library East Branch. Looks like we have a few more cyclists out there ready to ride safely! That’s the goal, so we are happy to see it. Our thanks to SHIFT for doing such a good job this year. 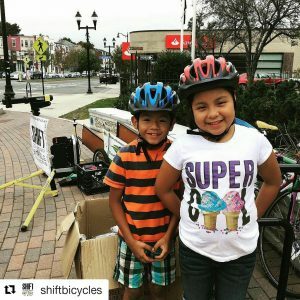 Over 2,000 Bicycle Helmets for Kids in Somerville – So Far! 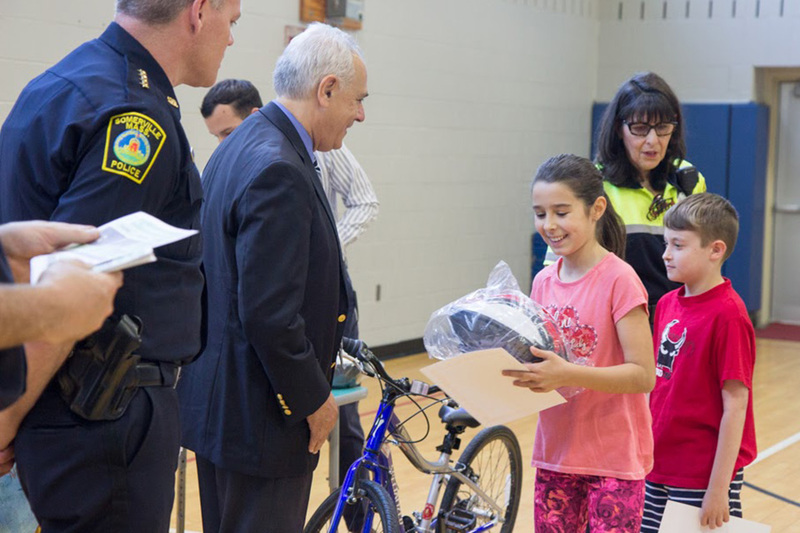 Breakstone, White & Gluck was pleased to donate 330 bicycle helmets to Somerville fifth-graders from our Project KidSafe campaign. Attorney Ronald E. Gluck is shown above, giving a young cyclist a helmet at the West Somerville Neighbhorhood School on June 15, 2017. 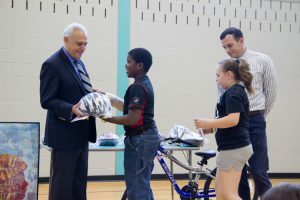 For the fourth year, Breakstone, White & Gluck was pleased to donate bicycle helmets to every fifth-grader in Somerville who completed the CYCLE Kids bike safety training. 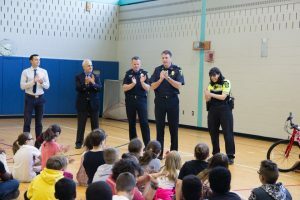 We donated 330 helmets from our Project KidSafe campaign this month, in partnership with the Somerville Public Schools, Somerville Police Department and CYCLE Kids. CYCLE Kids is a curriculum which teaches safe bike riding, helmet use and nutrition. It is taught in Somerville as part of fifth-grade physical education class. For the past four years, we have tried to encourage these lessons by giving each child who completes the CYCLE Kids program a helmet. It was worth our donation this year. 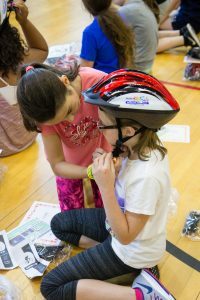 At West Somerville Neighborhood School, the students learned about the importance of wearing a bicycle helmet and were even fitting their own! To the fifth-graders of Somerville and your parents, Breakstone, White & Gluck wishes you a safe and healthy summer! Don’t forget to wear your helmet every time you ride. Helmets are required for cyclists who are 16 years of age or younger. For more information, read M.G.L. Chapter 85 Section 11B. Breakstone, White & Gluck is active in supporting cycling safety in the Somerville community. 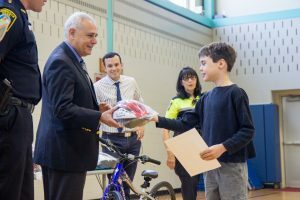 In addition to the public schools, our law firm recently donated 120 bicycle helmets to the Kiwanis Club of Somerville for its annual Bike Safety Day, which was held last weekend. 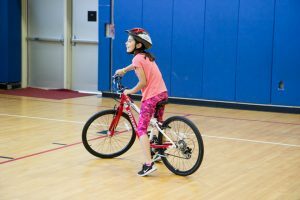 We have made this donation for the past five years and are pleased to see the Kiwanis Club continue with it each year, giving children an opportunity to receive a helmet, learn bike repair and practice safe riding in the Somerville community. 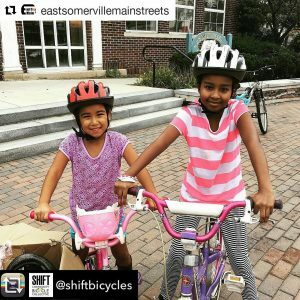 Our other partners in Somerville are Shift Bicycle Collective, a community organization which promotes bicycle safety, and Groundwork Somerville, which teaches teens agricultural skills. The teens wear the helmets as they ride around between work sites across the city of Somerville each summer. To learn more about Project KidSafe and bike safety, visit www.bwglaw.com/bikes. To learn more about Breakstone, White & Gluck and our work for clients, visit www.bwglaw.com.